Music Director Richard Pittman and his extraordinary Boston Musica Viva opened their 46th season Saturday at BU’s Tsai Performance Center with recently composed music by Jewish composers, including one world premiere. It was not likely a coincidence coming during celebrations of the Jewish New Year, as such sensitive scheduling is emblematic of Pittman’s enterprising and entrepreneurial approach. My only possible carp on Saturday was the title merely hinted at the riches too come. Pittman began by announcing that BMV’s 46 continuous years made the organization the longest-lived new music ensemble in the U.S. Kudos! The evening focused on 20th and 21st Century music composed by three Jewish composers: Aaron Copland, David Schiff, and Eitan Steinberg. BMV has a history with the music of the Israeli, Steinberg, having given premiers of his work in past concerts, and also having released a CD of his music. 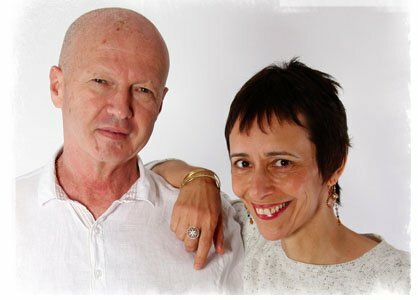 A modest, soft-spoken and genuinely likeable man, Steinberg made several appearances on-stage to talk about his compositions and his collaborations with his wife, Etty Ben-Zaken, a multi-talented vocal artist whose protean gifts were soon to be revealed. These introductions and explications enhanced one’s hearing and understanding. Steinberg’s engaging arrangements of two Yiddish folk songs set for clarinet solo, piano, violin, ‘cello, flute, and percussion titled Play, Klezmorim, Play began the concert. William Kirkley was the eloquent clarinet equivalent of a vocalist in two songs, each impersonating a poor Russian tailor: Bin Ich Mir a Snayder which laments the unfortunate lot of the protagonist having only two penny’s-worth of cloth, and A Tamganeydendiker Nign, which the character sadly bemoans his lack of any food save a lovely melody which tastes like heaven and sustains him. Betsy Bobo, flute, Geoffrey Burleson, piano, Robert Schultz, percussion, Jan Müller-Szeraws, ‘cello and Gabriela Diaz, violin were the other players. Steinberg arranged the clarinet versions for BMV. From a seemingly different universe came the next work, the powerful piano trio Vitebsk (1929) by Aaron Copland. An even bolder outlier than this composer’s thorny Piano Variations (which Leonard Bernstein said he’d play as a youth at parties in Cambridge and New York and clear the room), Vitebsk was written as a reaction to the anxiety Copland felt after viewing a performance of Shloyme Zanvl Rappoport’s play The Dybbuk, and hearing within it a Jewish folksong. The folksong’s impact on the composer was such that he wrote Vitebsk (Vitebsk was the playwright’s home village) as a reflection of the harshness and drama of Jewish life in Russia. The first page of Copland’s score explains this, and also mention’s the string players’ employment of quartertones, which the composer rightly suggests will heighten the tension felt by the music’s auditors and players. This difficult music was given a fully committed and soulful performance by pianist Geoffrey Burleson, Gabriela Diaz, violin, and Jan Muller-Szeraws, cello. For all its dissonant harmony, there are moments in this score where the Copland most audiences know peeks through the fabric with his more familiar wide chord spacing and (fleeting) triadic harmony. I was struck with how much of Bernstein’s Symphony No.2 “The Age of Anxiety”—especially in its rapid piano figurations—owes to similar passages in Vitebsk. Scored for voice and ensemble, the work is in five parts. The first, called Prologue, began with Etty Ben-Zaken’s speaking in an almost inaudible and very rapid murmur a Hebrew text by Midrash Rabba concerning God’s creation of Adam. This and its marimba, accordion and flute accompaniment of droned pitches and tone clusters played tremolando created an uncanny sense of eavesdropping on personal meditative prayer. Similarly riveting senses of attending a private meditation pervaded the following music: the first part drew its words from the Talmud’s description of the dispute between Beth Shammai and Beth Hillel on whether mankind ought to have been created. The music was alternately disputatious and reverential, the slower sung text more thoughtful, the piano creating an arresting resonance that seemed at times to imitate a cimbalom. The second part, set in sunny Arabic verse from al-Nuri’s Stations of the Heart, was rich with cheering birdsong, bass drum adding telling depth to the accompanying instrumentation. Ben-Zaken gave us wordless song, compellingly sung, as was all she sang this evening, for the third section. Of one of the themes she sang, Steinberg stated “I have quoted one of those Hassidic meditative melodies, from the Lubavich tradition, here interpreted as a painful lament.” The music comes to a cyclical end in its Epilogue, wherein the Hebrew murmur intoned by Ben-Zaken at the work’s beginning returns, this time set to the verse of Kohelet Rabbah, speaking God’s admonitory words: “Be careful not to destroy My world—for if you do, there will be nobody after you to repair it.” Throughout the many engaging minutes of this extraordinary work, the BMV musicians musicians—Ann Bobo, flute; William Kirkley, clarinets, Robert Schulz, percussion, Geoffrey Burleson, piano, Katherine Matasy, accordion, Gabriela Diaz, violin, Jan Müller-Szeraws, cello—and their leader, gave an assured, moving, and ultimately emotionally overpowering performance. It is evident that Pittman’s advocacy of this music is well placed. The large audience welcomed the performance with warmth and enthusiasm, many members standing. The second half of this concert was lighter in mood, though no less engaging. David Schiff’s 1982 Divertimento from “Gimpel the Fool” is a four-movement instrumental suite of music from his eponymous 1979 opera, the libretto of which comes from a famous story by Isaac Bashevis Singer. The very well-crafted writing for instruments echoes both Jewish liturgical modes and the secular Klezmorim. The idiomatic players were William Kirkley, Gabriela Diaz, Jan Müller-Szeraws and Geoffrey Burleson. As a rousing finale Ben-Zaken returned to sing her husband’s 2014 composition Joy: settings of Jewish folk songs for voice and ensemble. Steinberg’s notes explain that the work came from a project which he and his wife undertook with their newly founded intercultural ensemble Modalius. The version heard on this occasion was specially rearranged by the composer for BMV. The first four songs explore four specific ethnic communities in Israel: Syria (sung in Hebrew to an Arab melody), Kerala-Indian (sung in Malayalam), Caucasus (sung in Juhuri), and Russian (sung in Yiddish).The final song was a tour-de-force accumulative set of stanzas entitled “Says our Bride” in which every new verse added a poetic metaphor on beautiful parts of the bride’s body. Ben-Zaken sang in Hekityia and rocked the entire assemblage in the Tsai Center, with Pittman and BMV enthusiastically abetting her every accumulative nuance. A roar of appreciation greeted this spirited conclusion to a far-ranging and deeply thoughtful concert, high-minded in planning and thought, and virtuosic in execution. John W. Ehrlich is music director of Spectrum Singers, which he founded 34 years ago. 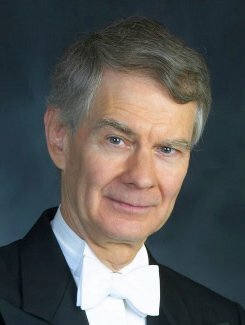 He has been a singer and conductor in the Boston area for more than 40 years.